I felt my skin quivering, despite the hot mid-morning sun was beating down on me. It was because this giant creature was slowly inching its way towards me, with its massive mouth opening and closing trying to catch all those krill that the fisherman gave it, and its massive body creating strong undertow that pushes me out. While one of these creatures was right in front of me, I noticed another huge shadow swimming right below me. If I had a heart monitor on, it would have exploded. Imagine two of these huge gigantic creatures closing in on me? My heart was pumping fast and I felt dizzy. I froze floating in the sea and said to myself, ‘Oh God, is this my end?’Is this how Jonas must have felt when he was about to be swallowed by a huge fish? They weren't about to eat me though, they didn't bite or swallow me whole as what I've imagined, and what other gory stuff I thought these huge fish would do to me. The one closest just veered away just about a feet away from me when he finally saw me with its cute, small eyes. The one below continued its search for food, mistaking the bubbles of the divers oftentimes as its favorite diet. Later on, as the fear subsided and boldness and sense of adventure took over, I swam and dived with the whale sharks, trying to capture them with my underwater camera. I saw their massive gills excreting the water it takes in when it swallows its food. I saw the groupie fish that follows it everywhere it goes. 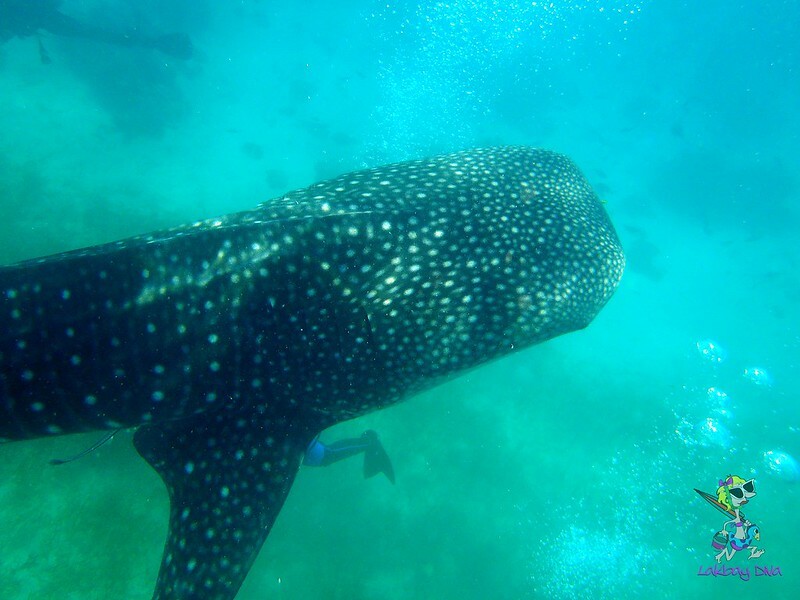 I became a groupie myself – followed them whale sharks wherever they went. It came with a price though. I got hit one time by the tail as I was swimming in its way to the food. It just felt like a log was rolled over me. A few minutes more and the guide told us our time was over. I wanted to stay longer, but the guide said rules are rules. I said goodbye to the whale sharks and vowed that this, aside from my most recent harrowing experience in Binuthan Cave, Cebu, is my unforgettable experience in my entire life so far. 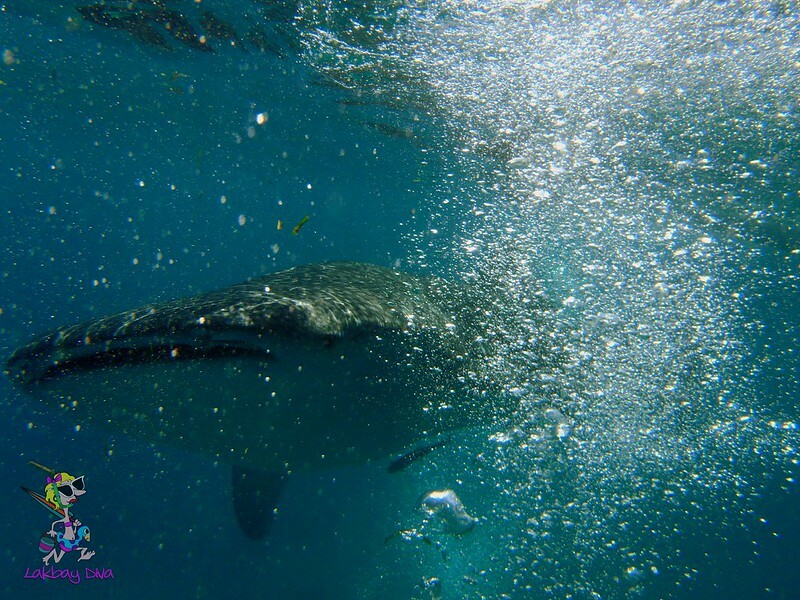 Whale sharks off Oslob, Cebu from Lakbay Diva on Vimeo. Lakbay Diva is the author of an online travel mag, Lakbay Diva. Obviously, Diva likes to dive, snorkel, skim, and other sports like T.V., radio, cassette and washing machine. If you do like my entry, please visit the site http://www.LakbayDiva.com. Chos! the basis of your respective earnings, bills and also other considerations that will influence your capacity to pay. are lots of websites giving full information regarding the internet loan lending companies making use of their contact details. You are welcome to Lin Poh Loan Firm! We are a private Investor /Lender, We Offers Private, Business, Project, Investment and Personal Loans etc with low Interest Rates within 1 to 20 years repayable duration period to any part of the world. We give out loans of any amount you requested. Our loans are well insured for maximum security which is our priority. We are project finding's and we offer loan from the range of $5,000 to $500,000,000 and also mainly in any currency USD, CAD, KWD, OMR, SGD, GBP, AUD, MYR, EUROS ONLY. Interest rate is 3% annually. You are advise to contact us via the below e-mail address and your requested loan amount will be granted to you. You're advise to get back to us and the Loan Application Form will be send to you as to enable us proceed!